Places Visited: Bhagamandala, Talakaveri, Madikeri Fort, Raja's seat, Mandalpatti, Dubare, Abbey Falls, Kaveri Nisargadhama, Madikeri. As days approached end of the year there was a buzz everywhere for long weekend plans. 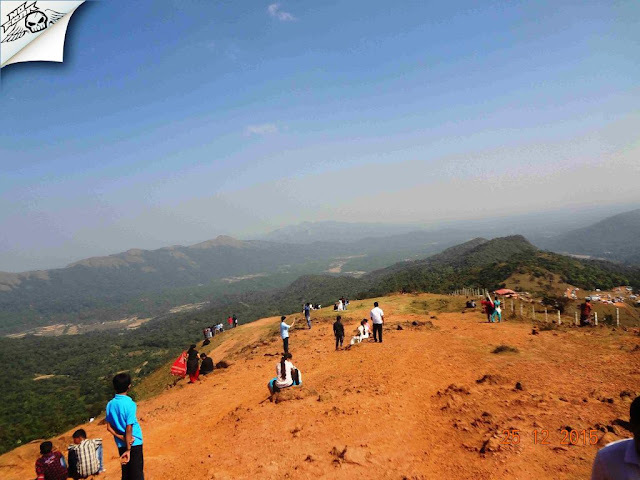 Sachin invited me for Madikeri trip, though I had been there before I convinced myself that its worth a second visit. Madikeri is best known for its hospitality, its a great experience to stay at homestay but since the plan was called off at last moment we couldn't manage to get a stay in advance. Even the cabs were unavailable and priced higher than usual. Finally Sharan booked Tavera which best suited our requirement and budge too. 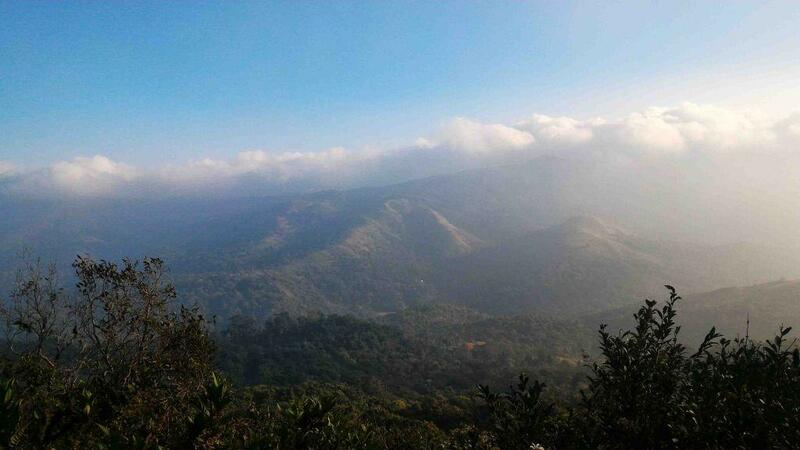 Formally known as Muddu raja kere, Madikere attracts thousands of tourists every year with its charming climate, coffee plantations and rainy weather. 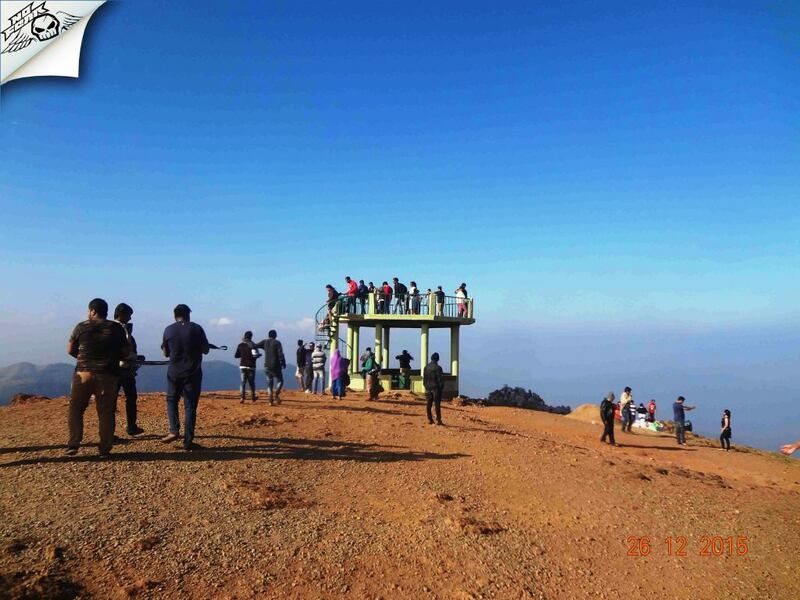 Madikeri has lot to offer for its visitors including water falls, view points and trekking stops of which below are the ones we visited. 1. 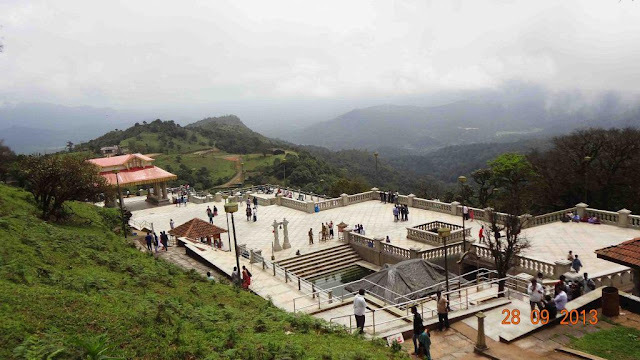 Bhagamandala: Bhagamandala is a pilgrimage place located 33 km from Madikeri town. 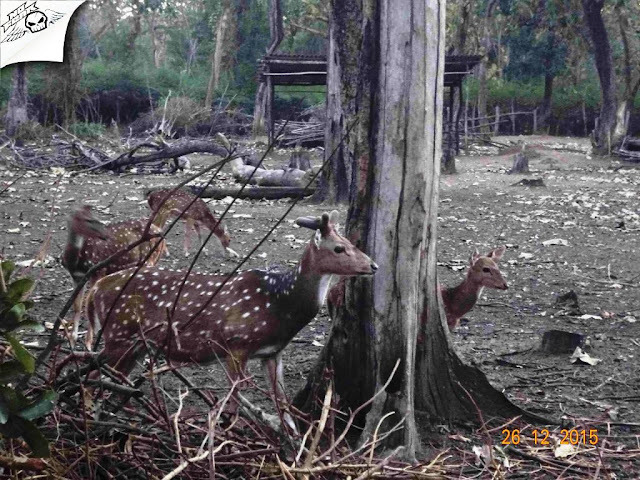 It is situated on the river Kaveri where Kaveri is joined by two tributaries, the Kannike and mythical Sujyoti river hence the name Triveni Sangam. 2. 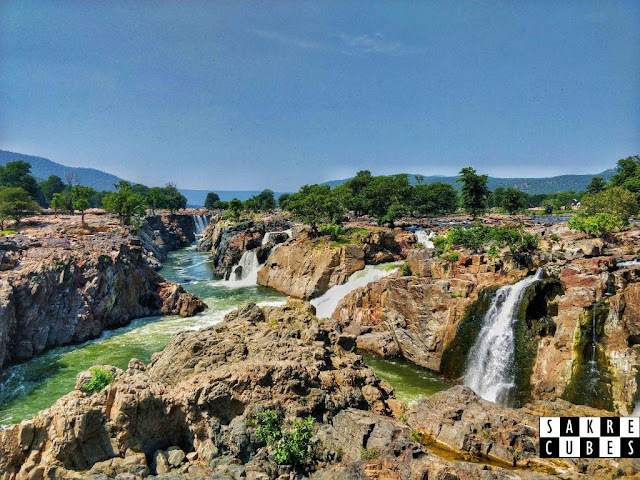 Talakaveri: Talakaveri is considered as the birthplace of river Kaveri. 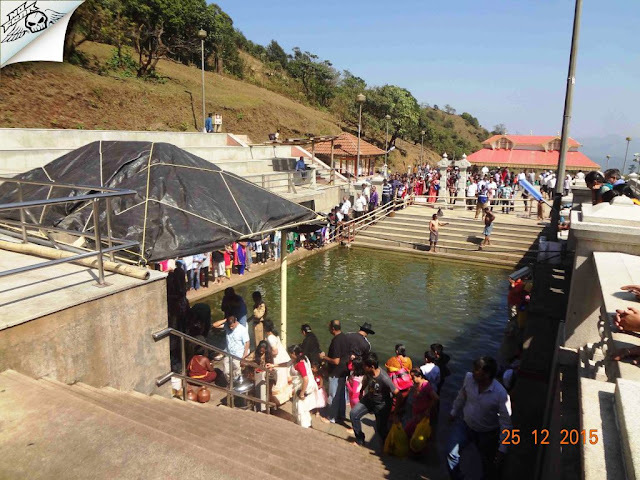 A tank or Kundike has been erected on a hillside by kodavas, at the place that is said to be the origin. 3. 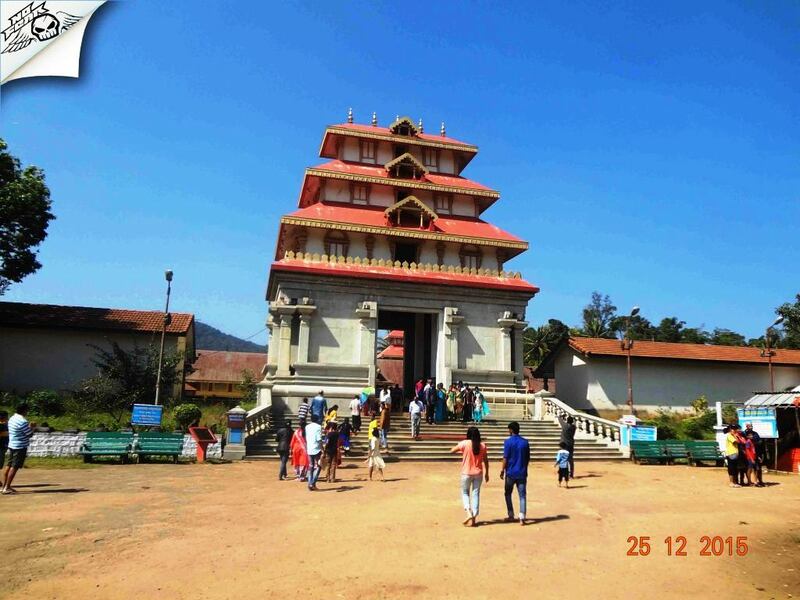 Madikeri Fort: 17th Century fort at the heart of the city built by King Mudduraja. 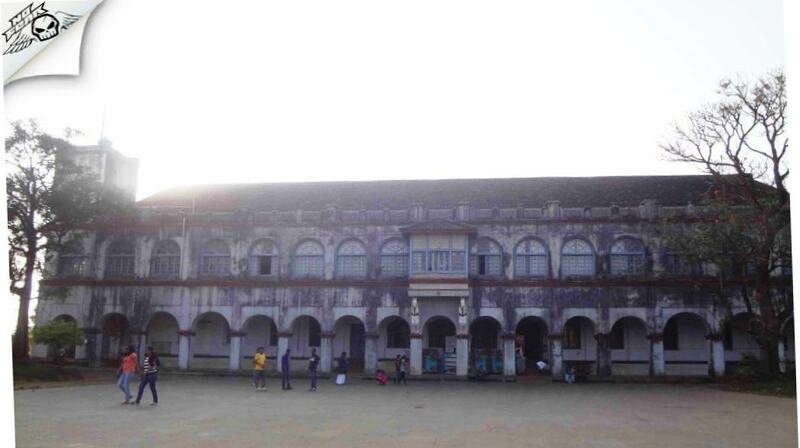 It also encloses a palace, church and Museum. 4. Raja's Seat: A pleasant spectacle of refreshing layers of greenery, chain of high and low rise mountains attired with mist, the Raja Garden is one-time-favorites of Kings of Kodagu who used to watch setting sun and his favorite place for recreation. 5. Mandalpatti a.k.a Mugilpete: One of the most favorite destination for travelers, Mandalpatti view point has the power to charm every visitor and beckon him or her to visit over and over again. Once on the top of the hills the beauty of the Mandalpatti is unwrapped. Far stretching green mountains and the cool breeze will definitely make one feel like heaven, most of the time the place is covered in mist except in Summer. 6. Abbey Falls: Even during the summer there is plenty of water in this falls. Bathing in the falls is not allowed as the water pours into the rocky steep valley. 7. Dubare Elephant camp and river: Dubare is known for its elephant camp, a forest camp on the banks of the river Kaveri. There are opportunities for trekking, elephant rides, fishing, and river rafting. These activities are hosted by jungle lodges and resorts. 8. 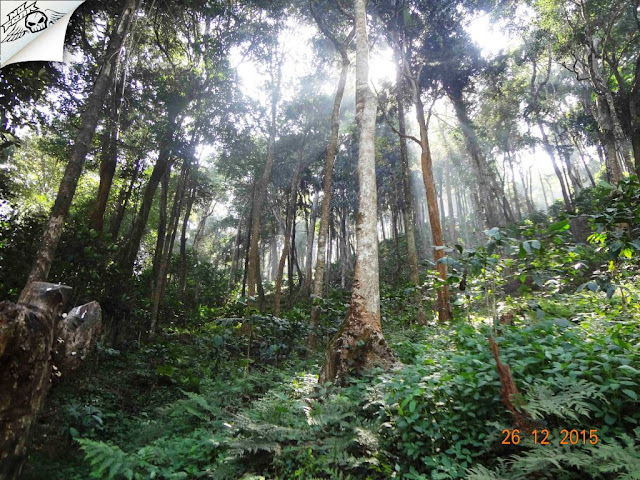 Kaveri Nisargadhama: Nisargadhama is a beautiful island, surrounded by thick foliage of bamboo groves, sandalwood and teak trees. Friday night/Saturday Morning: Sharan was the first one to get on-board who picked up everyone from their respective home, it was almost 12 am by the time everyone was aboard. After little chit-chat everyone fell asleep. Driver stopped for Tea at 4 in the morning near Kushalnagar, it was bone freezing cold outside. We reached Madikeri town at 5 am, the first thing we had to do is find a stay. Since it was still dark and we were early to the town the chances of getting stay seemed high. But unfortunately most of the rooms were pre-booked so we had to struggle for another hour to get a decent stay at higher price than usual. 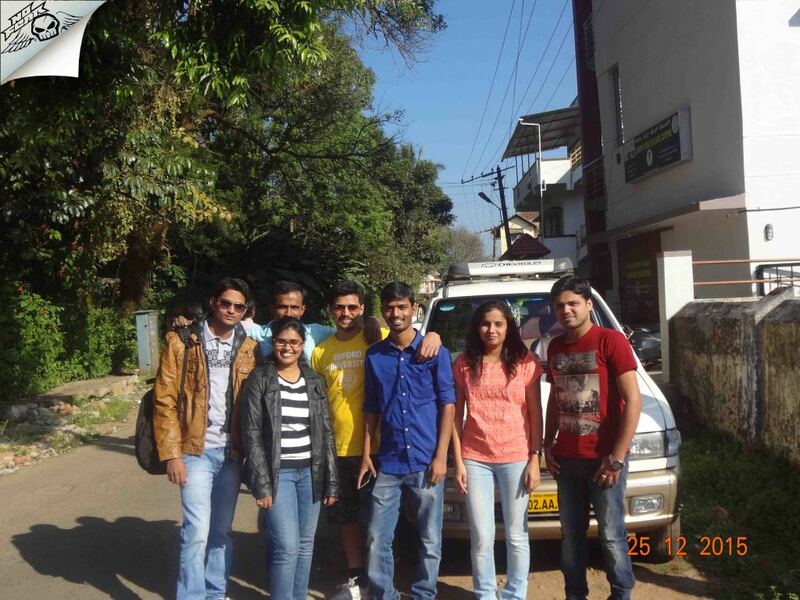 After getting ready we were set to explore bits and pieces of Madikeri. 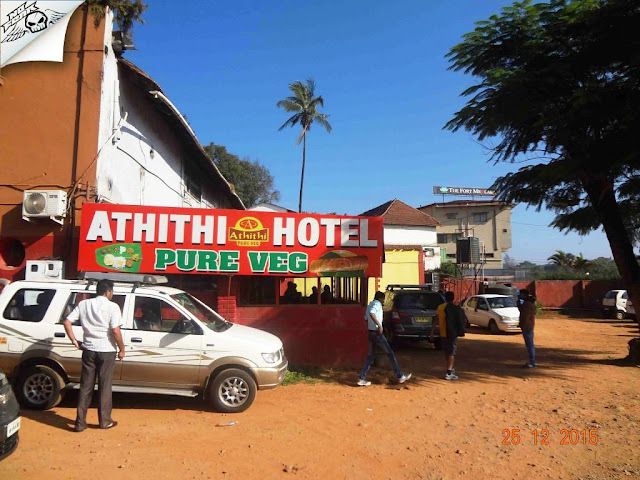 Driver pulled over for breakfast at Atiti pure veg hotle near the Madikeri fort. The food was way too bad and tasteless, even coffee was bad which is unacceptable at least at this place. We badly needed coffee to kickoff the day, asked driver to pull over near a coffee plantation on our way to Bhagamandala (I don't remember the exact location though). The coffee was mind blowing, probably one of the best coffee I ever had. 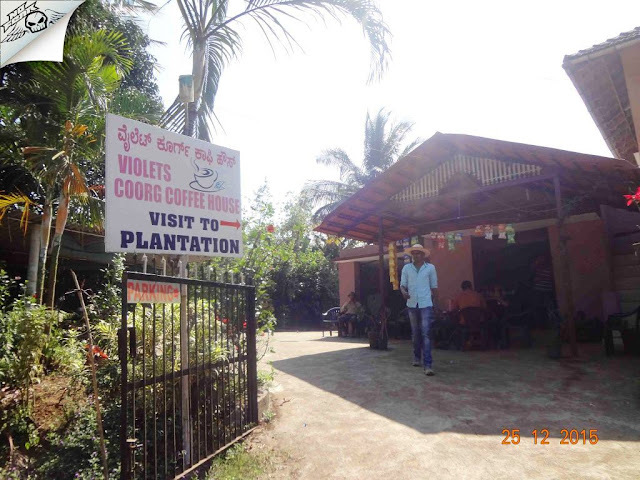 Coorg Coffee house on the way to Bhagmandala. 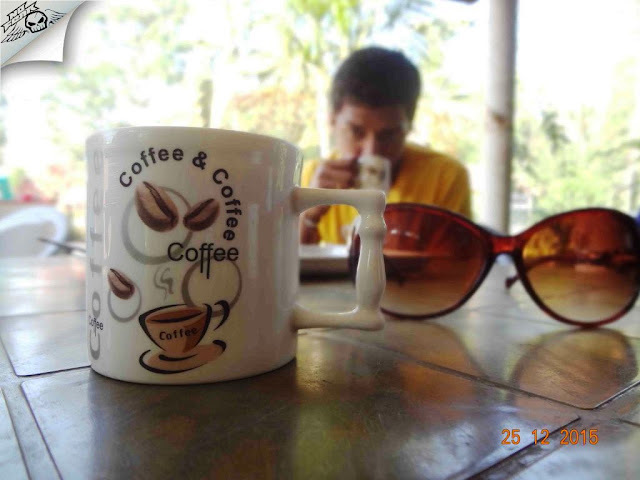 The best coffee we had tasted in Coorg. An hour drive took us to our first destination of the day Bhagamandala. 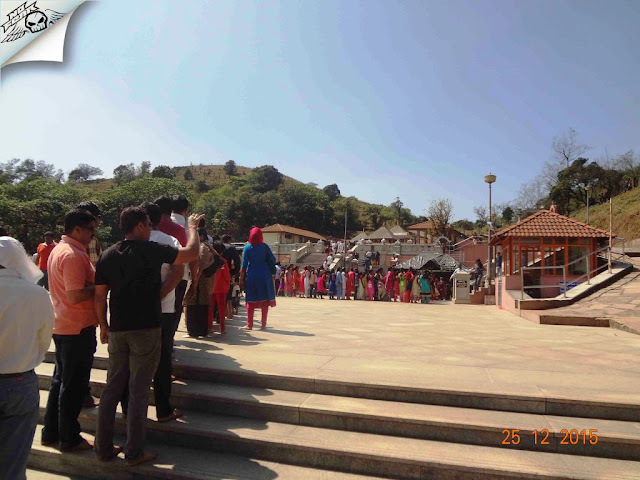 Bhagamandala: We visited the holy Triveni Sangam, it is common practice for pilgrims to take a dip in the river and perform rituals to their ancestors before proceeding to Talakaveri but we didn't had any plans to get into water. Took couple of photos though ;) The temple is constructed in kodagu style with Shiva, Subramanya, Mahavishnu and Ganesha idols worshiped under a single roof. 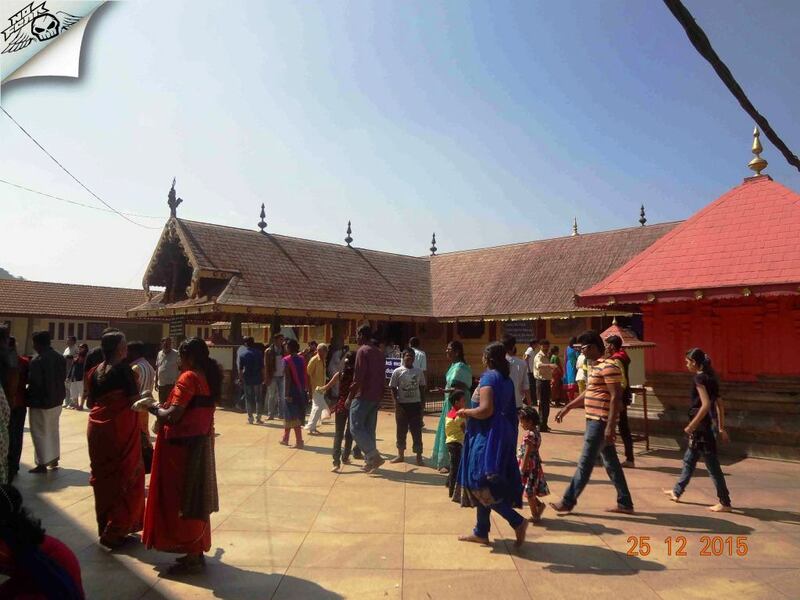 Its prohibited to enter temple premises on shorts or 3/4th so make sure you wear proper bottoms, there's also facility to rent Dhoti in case you are on shorts. We then headed to Talakaveri - the birth place of river Kaveri. 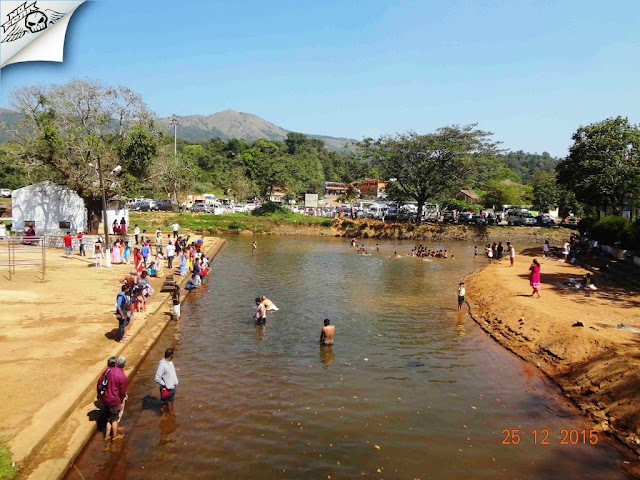 Birth place of river Kaveri: There is a small pond which is believed to be origin point of river Kaveri. 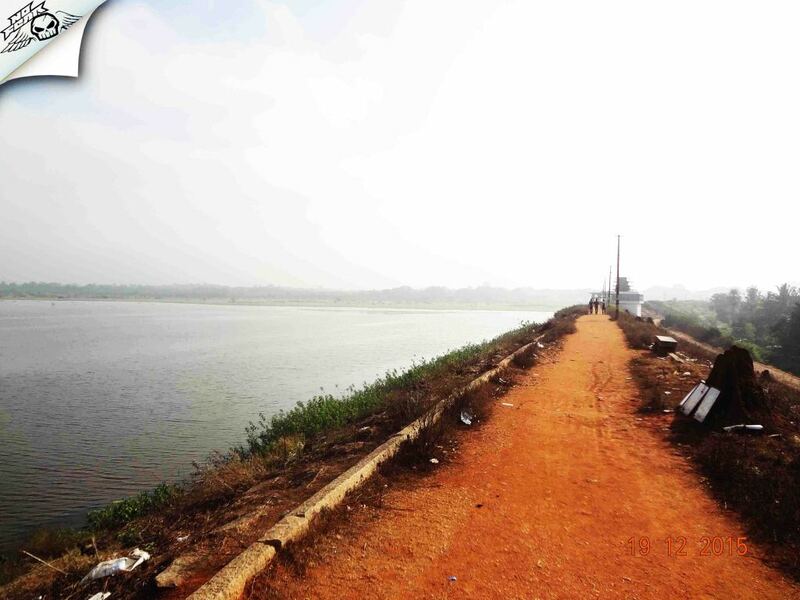 Beside the pond there is a small temple dedicated to Godess Kaveramma and Lord Agastheeswara. 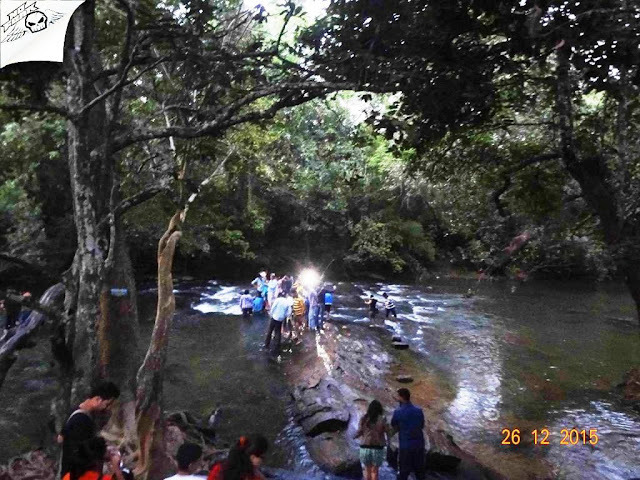 On the first day of Tula Masa month water spring originates from this place and is witnessed by thousands of pilgrims. 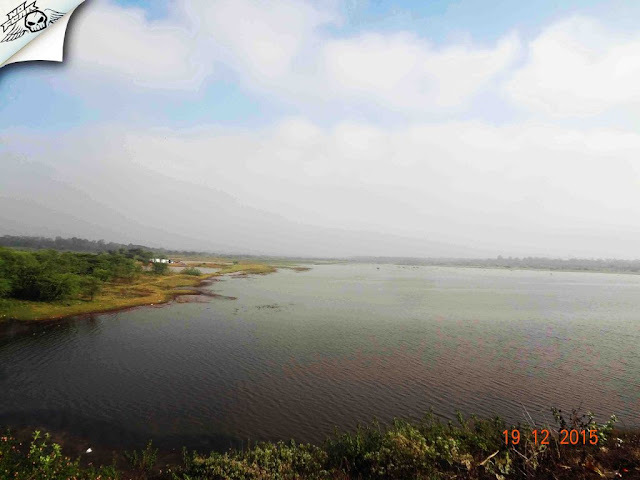 There is no direct link visible from this place to main river stream however it is believed that water flows underground to emerge as the Kaveri river some distance away. A dip in the water is considered auspicious especially on holy days by Hindus. Unusual long queue to visit temple at the pond. Stairs to the right of the temple leads to the summit of the hill where the most stupendous views can be seen in all directions. It was 1.30 in the afternoon and sun was upon us. Even though cold breeze gave a temporary relief there was no respite from the sun so we quickly headed back to the base. View of the temple and its premises from the peak. We came back to Bhagamandala for lunch, there are couple of good veg hotels near the temple. Though there is only rice in the menu it was delicious and satisfied our tummies. 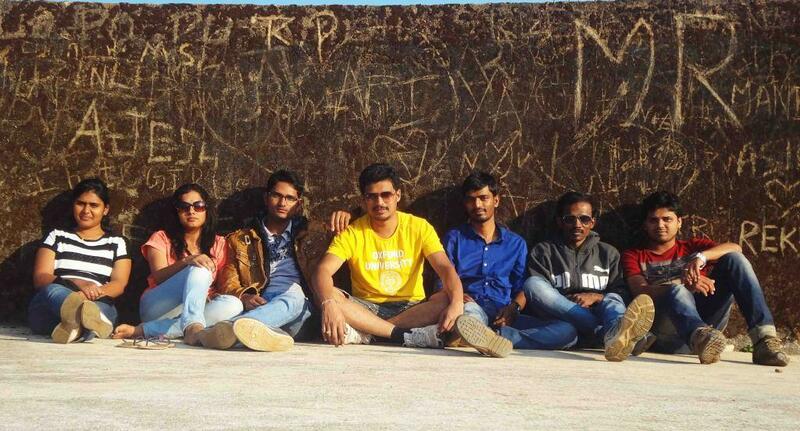 We headed to our next destination Madikeri fort. Back to the 17th century: It was 4 pm by the time we reached fort, most of our energy was down with the hot climate and heavy meal. So we decided to spend another hour here, then see Sunset at Rajaseat and get back home. There's nothing much to see at this place but definitely there's a lot to learn, feel and pursue. Fort is an imposing structure, located right in the center of Madikeri town, the King's palace has been converted into DC office. None of the visitors are allowed inside, for every space available indoors is still in use, albeit as government offices. 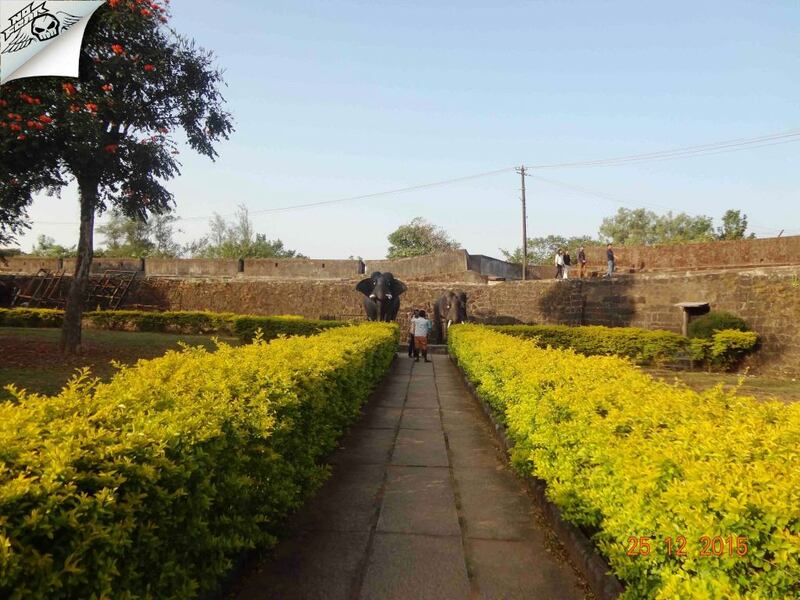 The palace is protected by strong fort walls, walking on the ramparts of the fort is a pleasure. The fort walls preserved in its original shape and color created a dramatic background perfect for photography. We visited the museum which is inside the fort premises and also there is a church constructed by british. As planned we left the place at 5 pm keeping enough time to see the sun set from Raja's seat. Chasing after the sun: Raja seat is hardly 1 km from fort (we didn't knew it was that damn close) as soon as we started we saw number of cars scattered around the junction resulting in traffic jam. 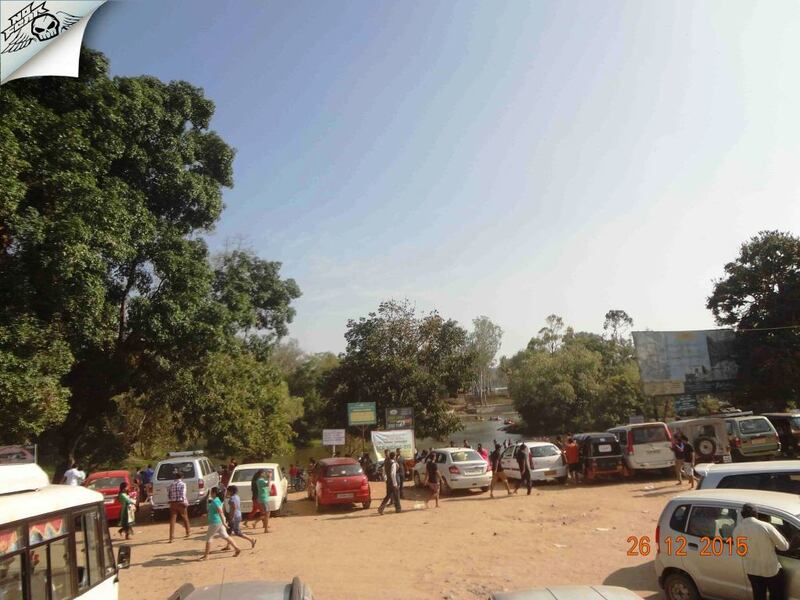 Because of the long weekend there were too many vehicles than Madikeri could handle. The sky was already red and the sun was going for sleep. We just wanted to be on the spot before sun disappears. 40 minutes passed and we moved hardly half the distance. Frustrated we got down from the vehicle and started running towards sunset point. 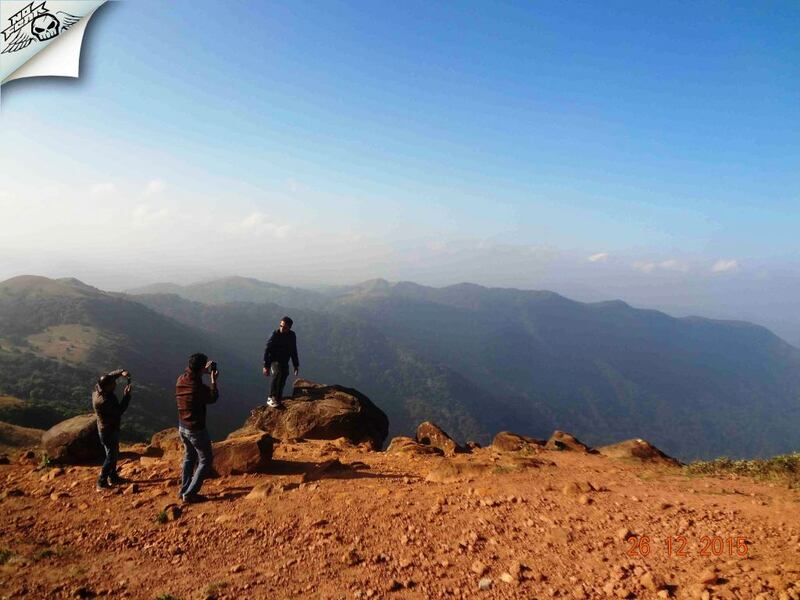 Finally we made it to the view point but sadly only half of the sun was visible, hundreds of people were gathered to capture the beautiful sunset in their eyes and camera. 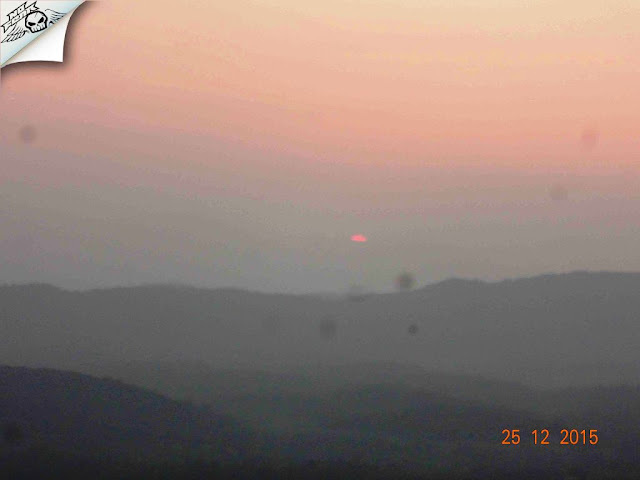 Seeing setting sun beyond the lofty mountains was a treat to the eyes, probably the only nice thing happened to us since the beginning of the trip. 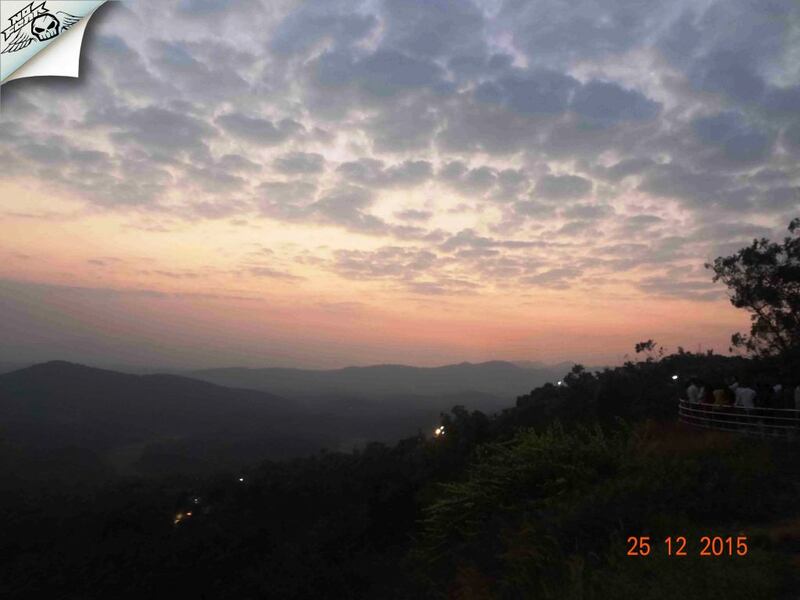 Never knew Madikeri has such a spectacular sunset point. 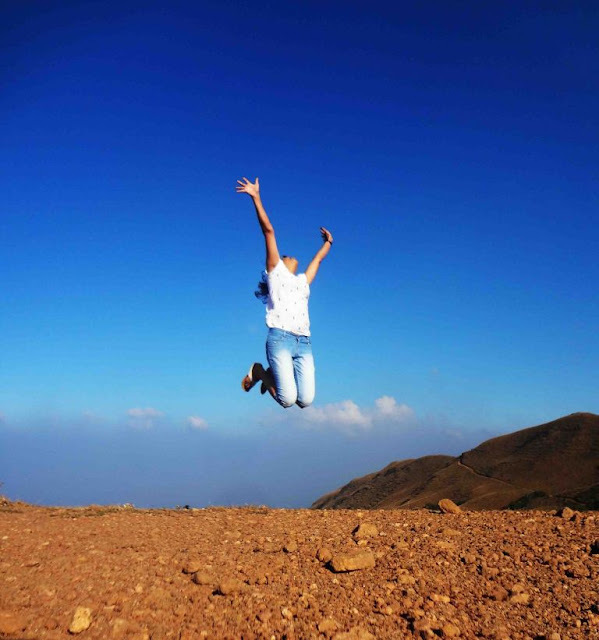 As sun disappeared completely everyone shouted and the voices echoed though the mountains. 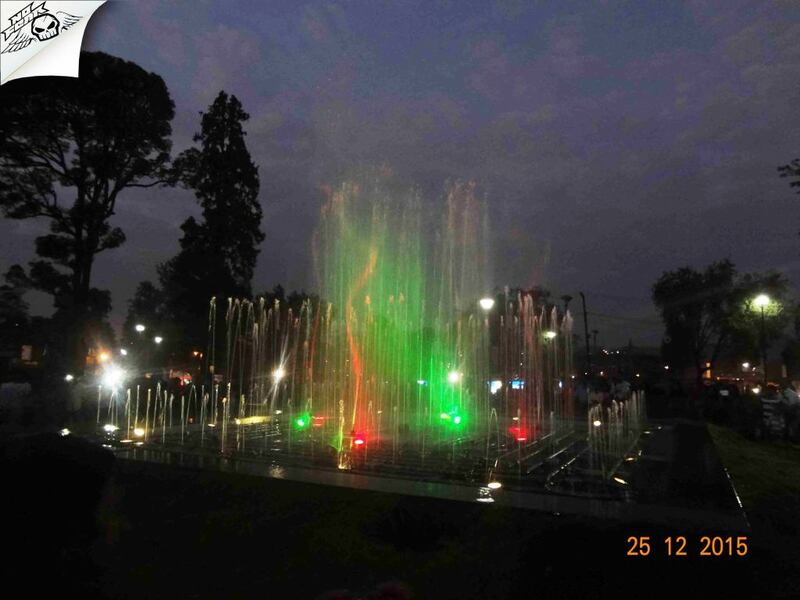 We explored place for 5-10 minutes more, musical fountain and toy train are other major attractions here. Some people prefer to visit this place at morning to catch the sunrise as it will be much peaceful and less crowded compared to the evening. 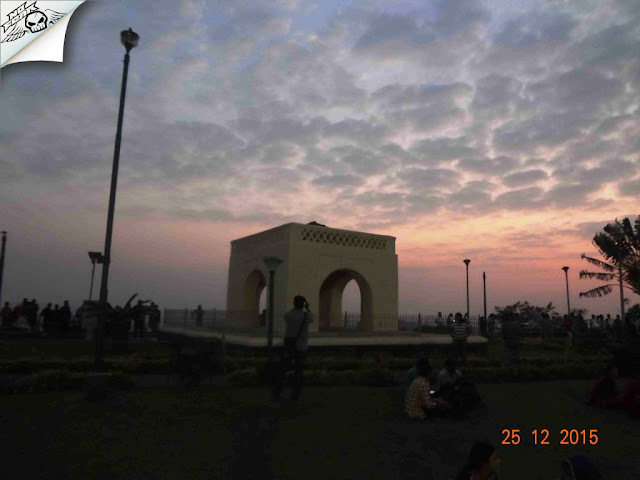 Sunset view point at Raja's seat. It took another half an hour to get out of the traffic. 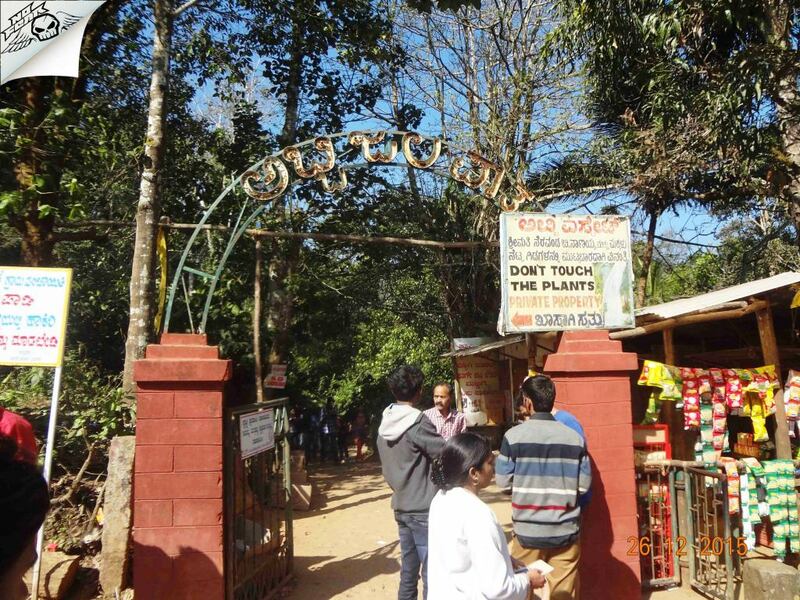 We asked driver to stop at some local store where we can shop for Coorg spices, coffee and other items. He stopped at a fancy shop, though the quality seemed good the prices were hiked too much so we skipped shopping. We headed back to the stay, we brought parcel for the dinner. Had dinner together and went back to sleep hoping to have a good day at least on the next day. 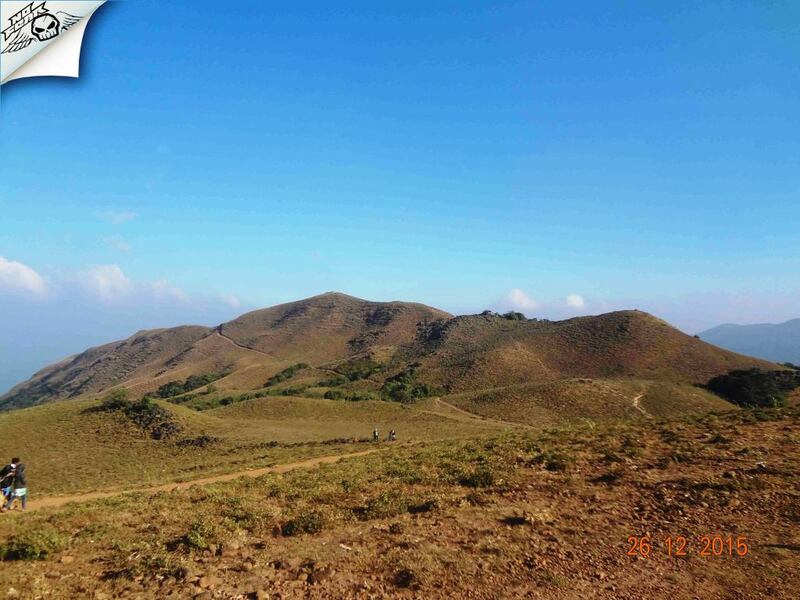 Our fist destination of the day was Mandalpatti popularly known as Mugilpete. It took an hour drive to reach Mandalpatti entrance beyond which its impossible for normal vehicles to go. 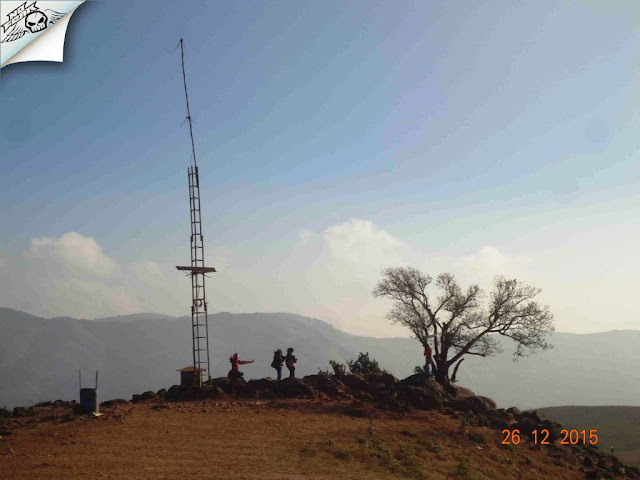 From this point you can hire 4x4 jeeps to reach the peak. If you have a SUV then you can drive till the peak or if you have time and energy then you can even walk this stretch, its a easy 4 km trek. Because of the long weekend rush drivers demanded hefty amount, they didn't seem to compromise on the charges no matter how much we tried to negotiate. 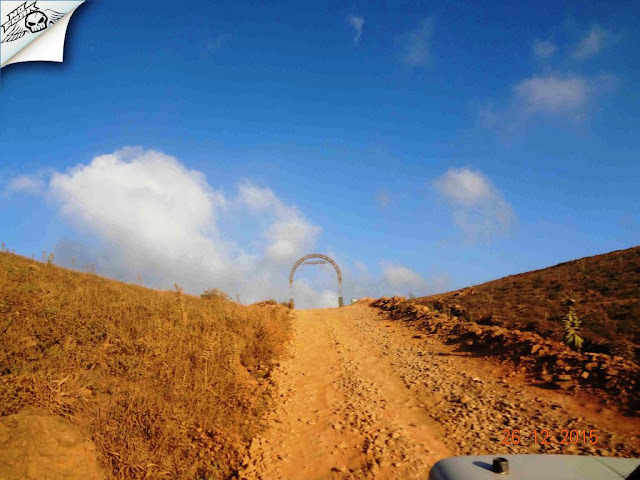 The trail offers a thrilling experience as the path goes through really bad road. It will surely scare the passengers and also gives some backaches. There is a forest checkpoint after which one has to walk around 200 meters. We paid the entrance ticket and headed to the peak. Grassland stretches across the hills. 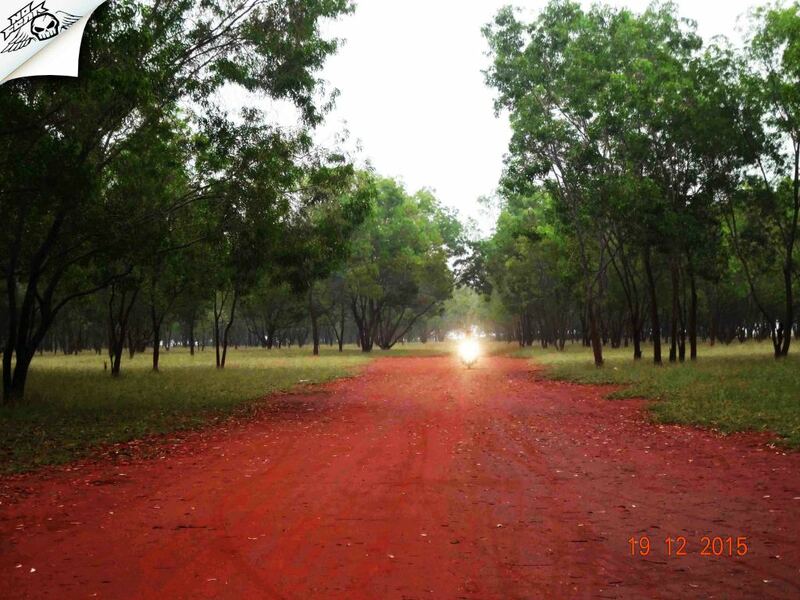 Pathways are created by the trekkers. We had a hot cup of tea at stalls near the entrance, we were hungry and felt like having something hot like omlet but nothing was available except biscuits. Abbey Falls: On our way back we visited famous Abbey falls. 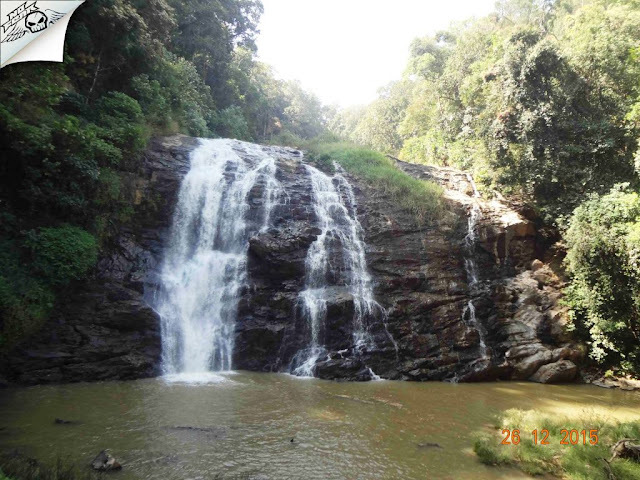 The roar of the falls can be heard from the main road, from where a path goes through lovely coffee and cardamom plantations right up to them. The chirping of innumerable birds which are easier heard then seen, fill the air with sweet music. The falls offers an incredible view but getting near falls is restricted. After seeing the falls we headed to our next destination - Dubare. 200 Rs/Head - 1 hour, you will be allowed to dive into the water mid rafting. 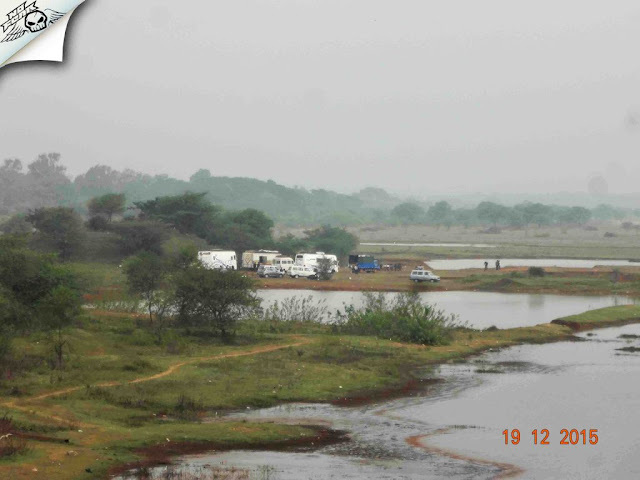 As the water level was low only Rs. 100 tickets were available. There are changing rooms available if you want to change dress before and after getting into water (ask anyone if you can't find it). Since it was a lunch break rafting was paused for half an hour, we played in water meanwhile. Finally it was time for rafting, we bought ticket and boarded one of the boat. The instructor teaches the basics of rafting like how to use the stick, how to row etc. He took us little far took a U turn and headed back. 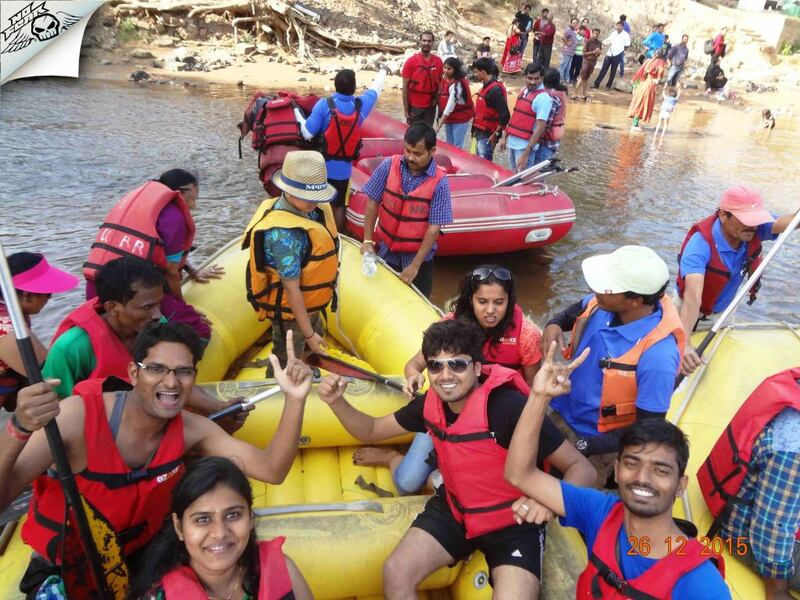 For 100/200 Rs ride you don't get real rafting experience, it's a simple rowing in almost still water. After changing to dry cloths we were good to go. Elephant camp here is major attraction but the timings were odd for us so we decided to see Nisargadhama and Golden temple on our way back. 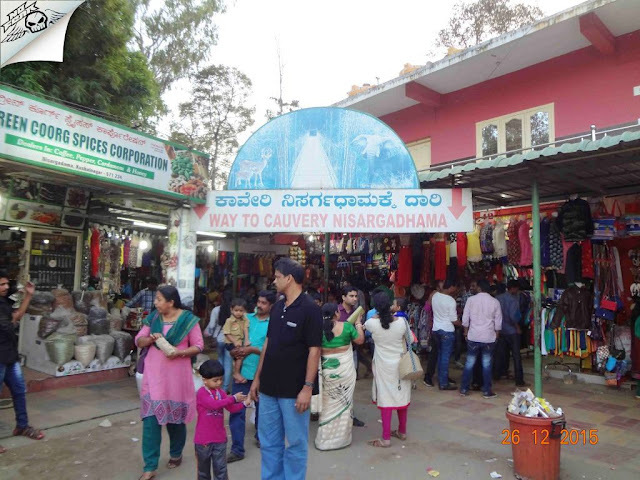 Kaveri Nisargadhama: We pulled over near Nisargadhama for lunch, two monks sitting on the next table informed us that golden temple was closed for visitors as they had some private function. 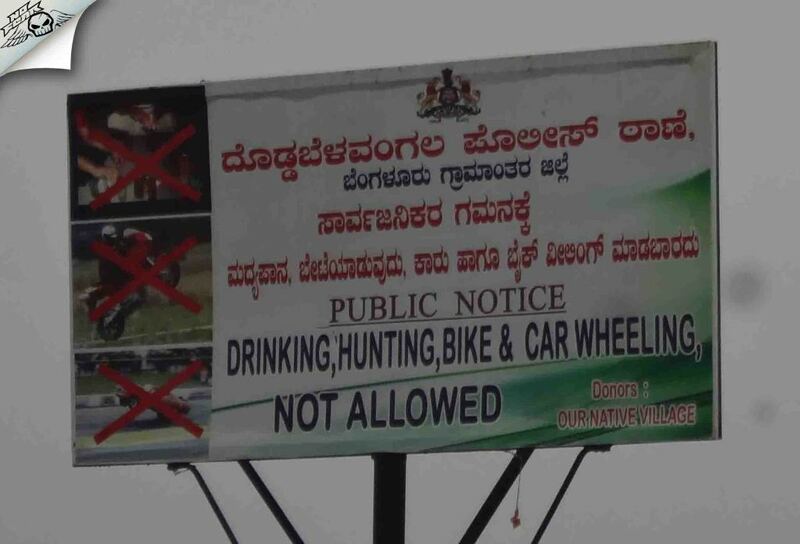 That said we had enough time to explore Nisargadhama. 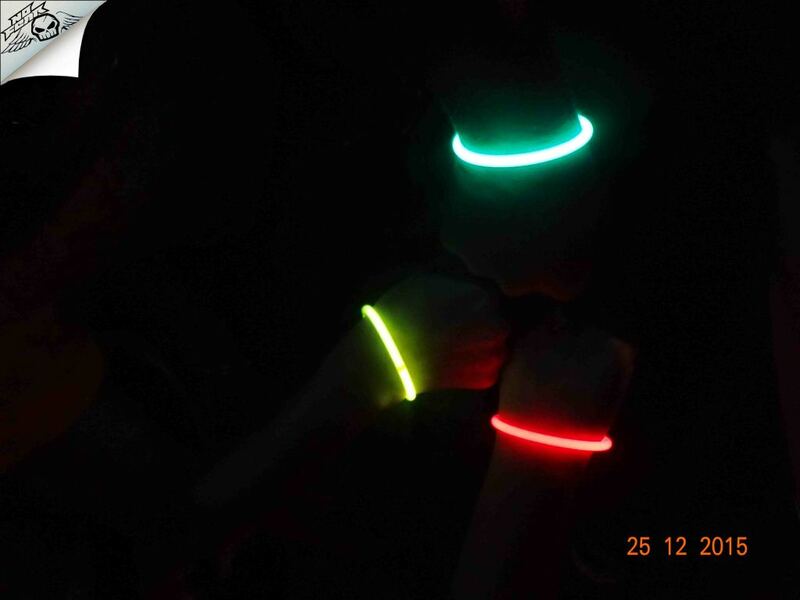 It was almost dark by the time we entered the park. 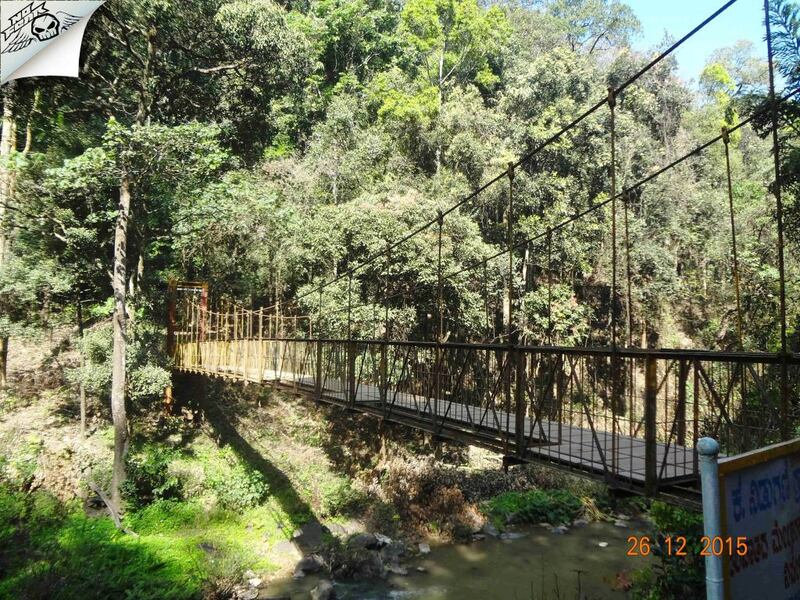 At entrance there is a hanging bridge no doubt its the best part of the park. We headed forward there are paintings on the trees and some small attractions here and there. Since we were running out of time we skipped everything and reached the dead end where there is Deer park, just beside that there is a river following right through the park. One can take a dip in the water, we had a long way to go so we rushed back to the exit. There are many shops lined up outside the park, its a good place for shopping homemade chocolates, spices, wine and lot of other stuffs. Lot of activities across the park. We headed back to Bangalore and reached out respective homes before 12. 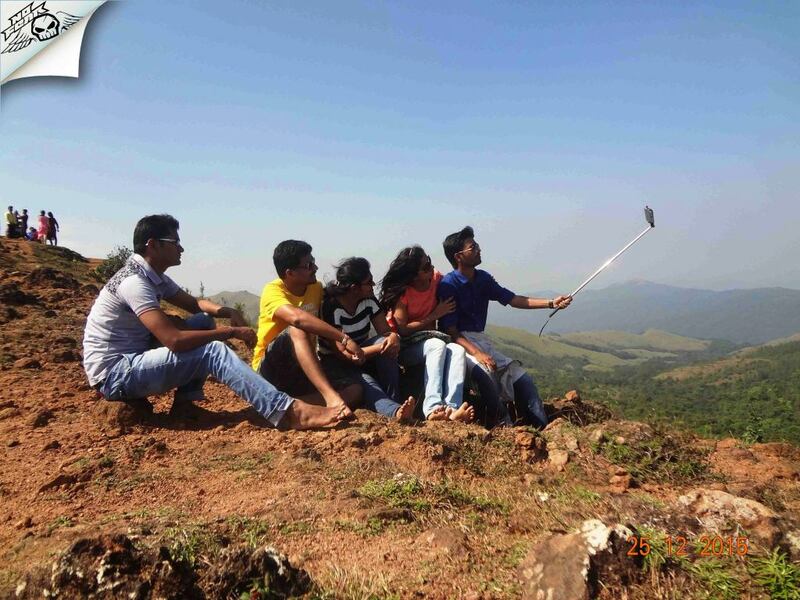 Conclusion: Best time to visit madikeri is post monsoon as its offers an incredible weather which will make you fall in love with Madikeri. Also never visit any famous tourism locations on very long holidays as crowd might kill the beauty of the destination you were expecting. 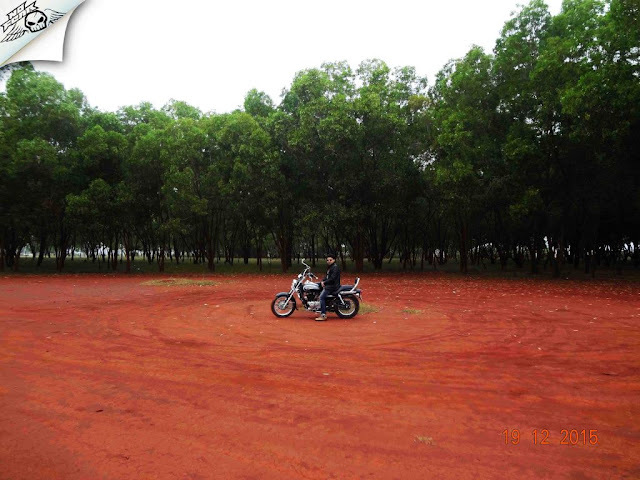 Vinay was excited about buying new Gixxer which made him eager to go on a ride. I had heard a lot about Hesaraghatta grasslands which is close to the Bangalore, and a perfect destination for a lazy Sunday drive. Vinay's friend Umesh was also joining us since he was coming from Jaynagar we decided BEL circle as the assembly point. Hesaraghatta Grassland: Hesaraghatta is the last remaining grassland around Bangalore which stretches around 300 acres. Surrounded by Film and Art schools its one of the commonplace used by filmmakers to shoot the beautiful scenes for their film, this is where you can find your creative side. 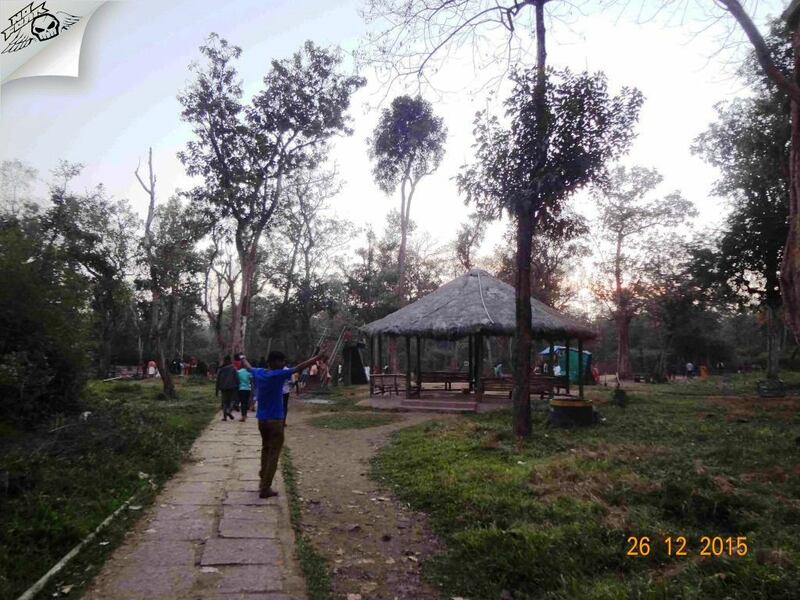 Bird lovers and photographers often visit this place as its a habitat for many species of birds. Hesaraghatta Lake: Freshwater lake constructed back in 1894 across Arkavathy River to meet the drinking water needs of the city. This is a huge lake that covers an area of more than 1000 acres. 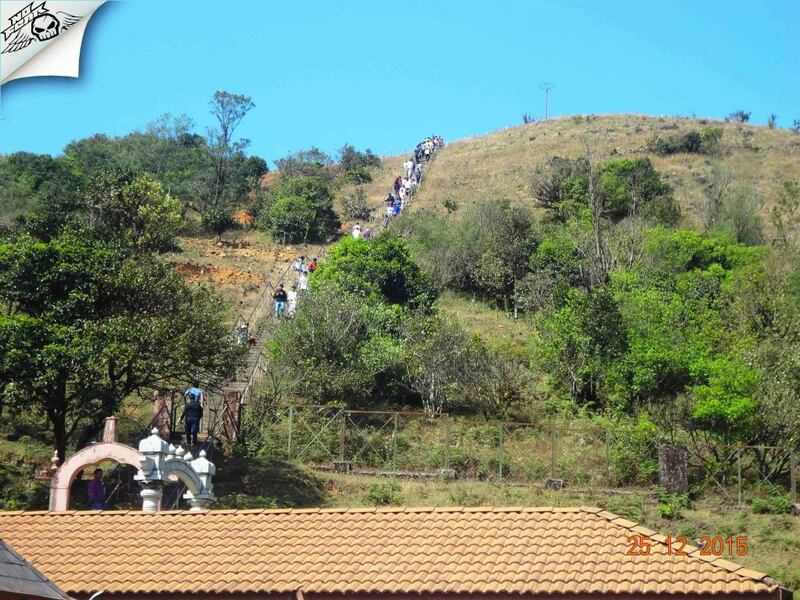 This place is popular among bird watchers and a perfect destination for the cyclists. I was up and ready by 5.30 in the morning, Vinay came to my room to pick me up. I occupied pillion seat while Vinay was driving. It was freezing cold in the morning, a leather jacket and hand gloves saved my day. 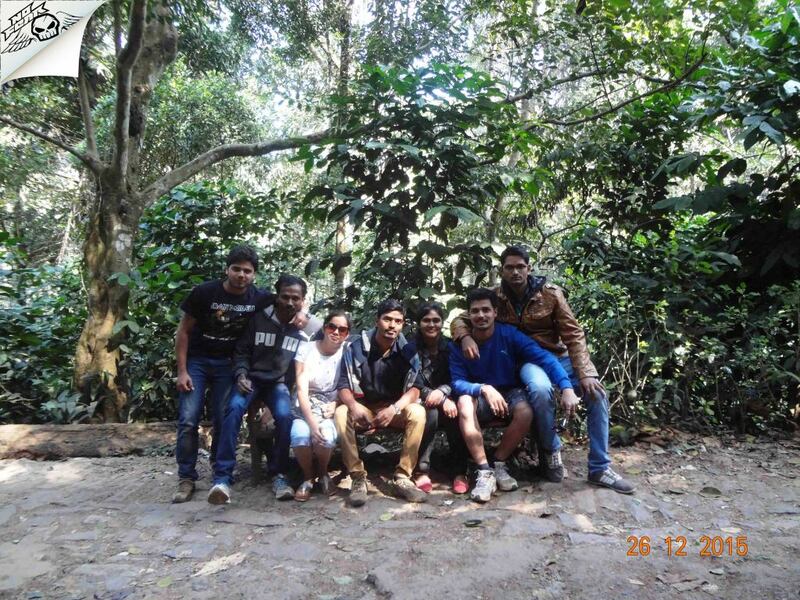 Within half an hour we reached BEL circle and waited until Umesh joined us. I was meet him for the first time, we had a small introduction before we were set to go. The Ride: I started navigation to Hesaraghatta, Google showed route which cuts through many small roads and finally joins Hesaraghatta main road. Pulled over for tea before we hit the Hesaraghatta main road. 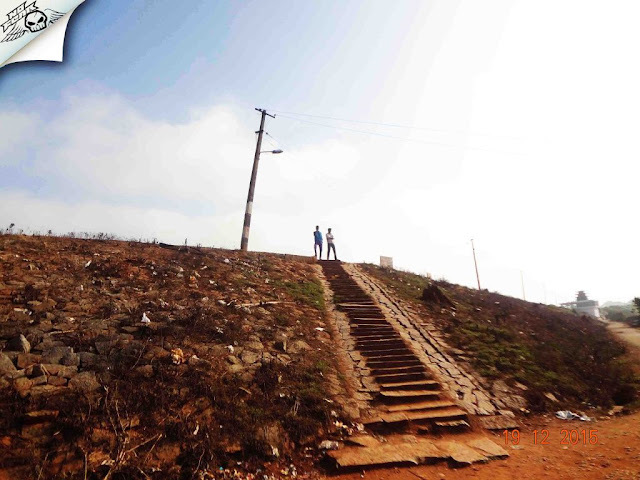 After a lot of humps and turns we joined Hesaraghatta main road from where the road was super smooth and simple. 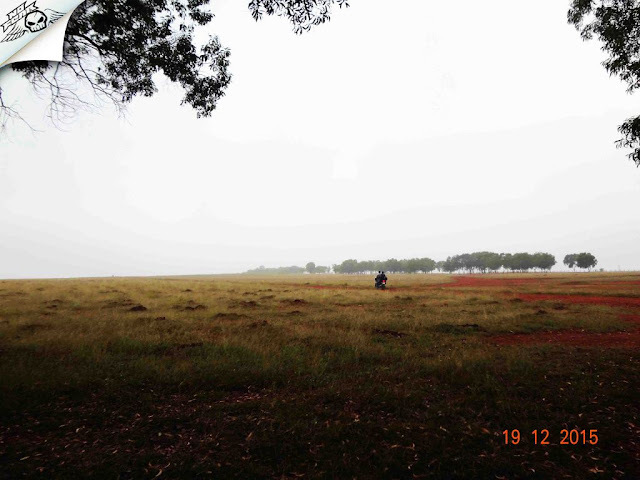 It was bone-freezing cold because of paddy fields on both side of the road. 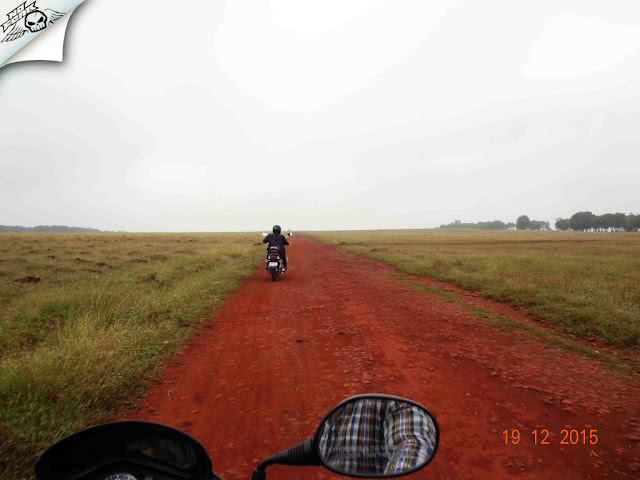 After a lazy drive of half an hour we reached Hesaraghatta bus stand from where I navigated again to Hesaraghatta Grasslands, another 5 km of ride through countryside road. 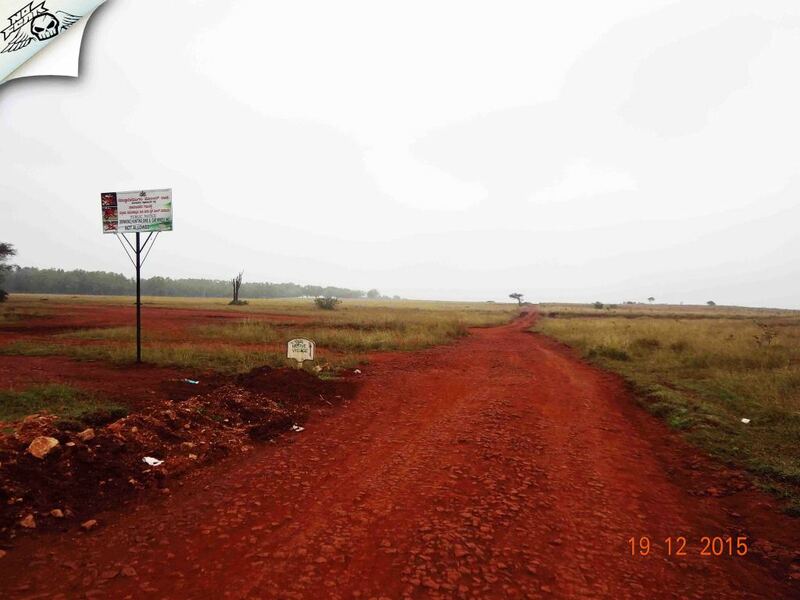 After passing Govt film and television institute there was a right turn which lead us to the open grassland. 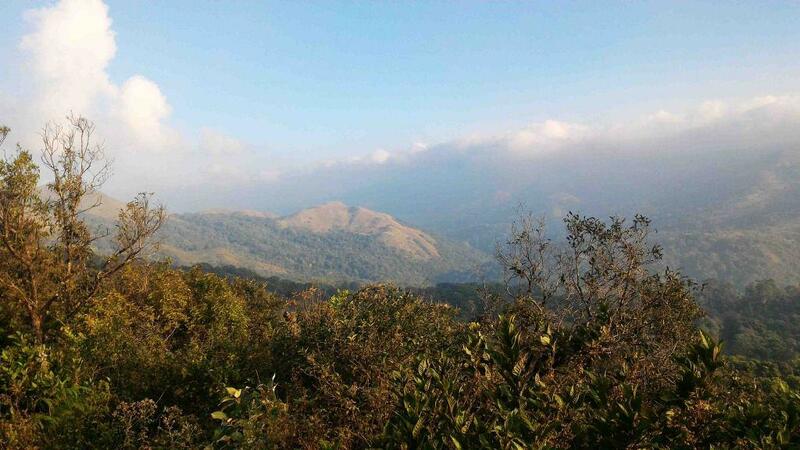 Hesaraghatta Grassland: We reached Hesaraghatta by 7.45 am, its a widespread area which stretches nearly 300 acres. I didn't know its a destination for bird watchers until we saw two cars with big cameras trying to capture pics of the birds. 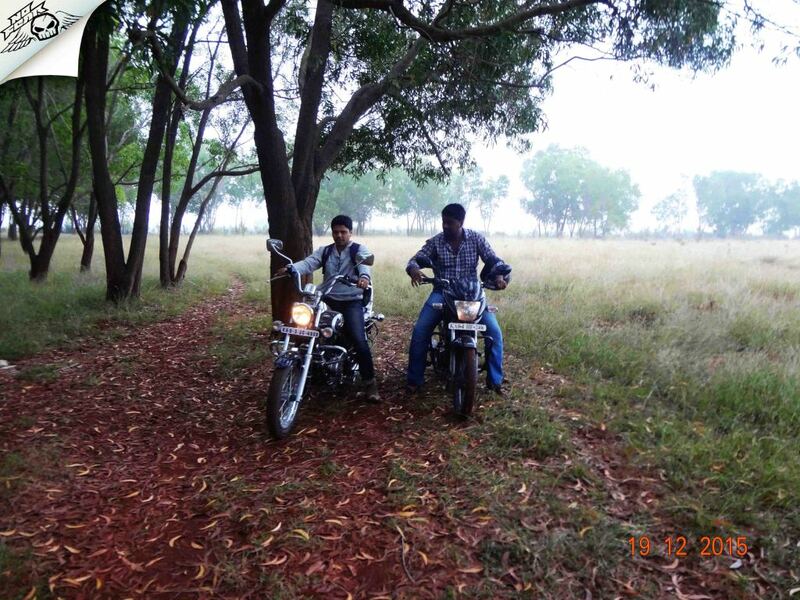 We went to the other end of the grassland which is an ideal location for most of the Indian romantic songs. 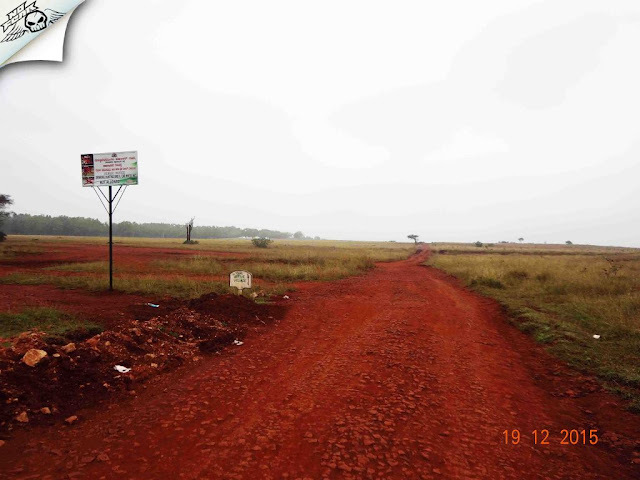 Perfectly aligned trees, red soil, background, soothing climate creates a perfect tune one which most of our hero and heroine have danced. I couldn't resist myself from taking my camera out and start taking photos around. 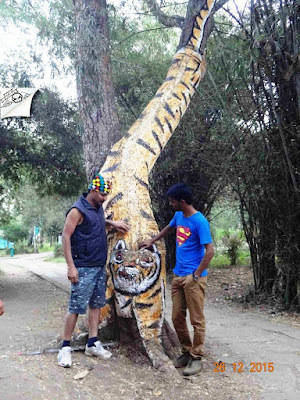 We explored the place for a couple of minutes before settling down near the broken trunk for photo session. 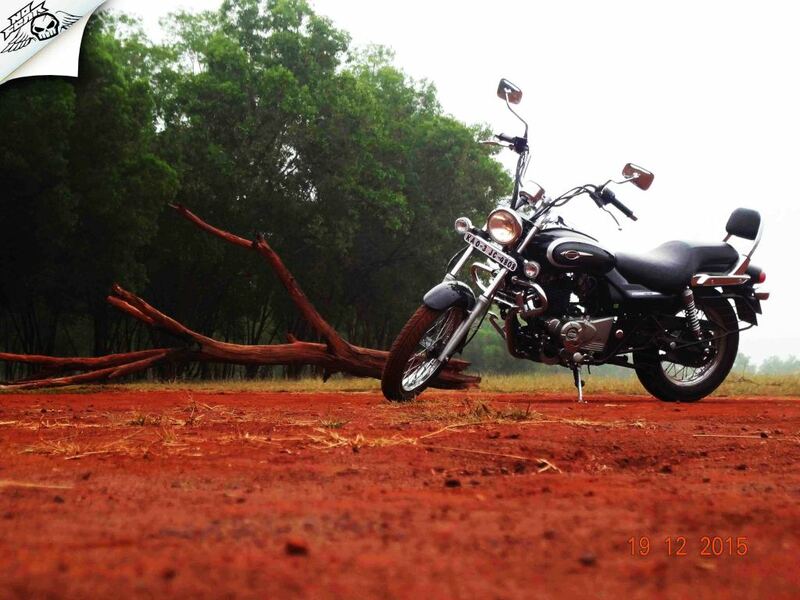 New Bajaj Avenger Cruise was center of attraction now. I always wanted to own an Avenger (hope I will get it in 2016 at least). We had a lot of cool photos with the bike and beautiful background. I couldn't believe such a beautiful place is so close to Bangalore, and it took me so long to explore this place. It was 9 am, sun was still hiding behind the clouds making the atmosphere more soothing. It's a nice picnic spot, you can read books under the tree or you can just have some sweet talks with your loved ones or if you have kids you can play games with them. After spending one hour we decided to head back. Ride Back: Umesh gave his bike keys to me and asked if I want to drive back, I was like "Yes off course!!"? It was the first time I was riding Avenger on a long ride that too this one is new cruise model which is specially designed for long rides. I realized why some people like Avenger so much. Riding back was cool, we rode on the Hesaraghatta main road until it intersected with Bangalore-Tumkur highway. 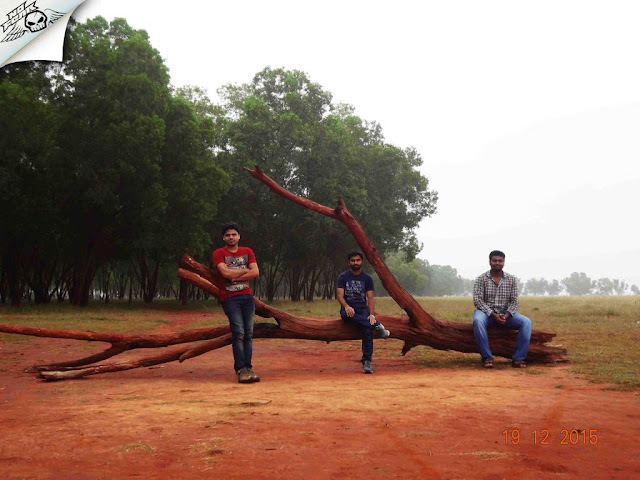 While Umesh took a left turn from Jalahalli to join ring road, Vinay and me headed back to our respective home. 1. 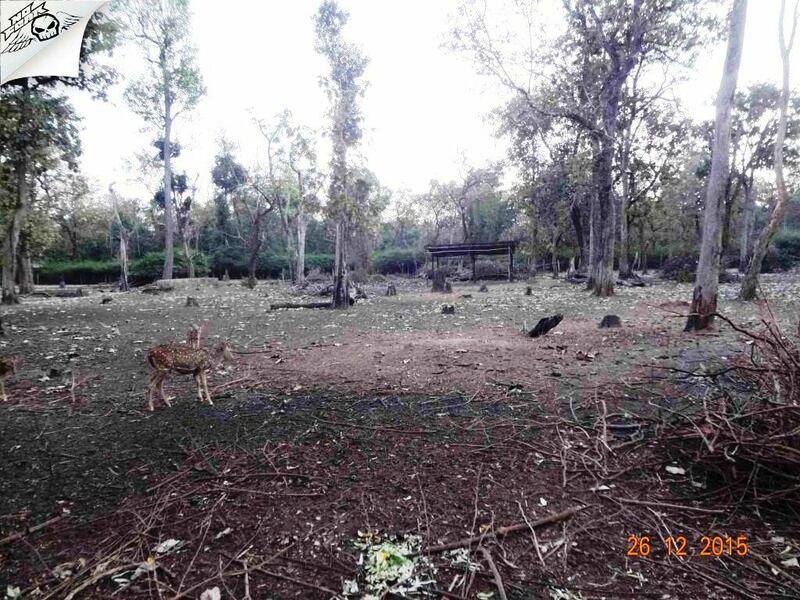 You can also visit Nrityagram Dance Village, it's a small setup behind the grassland. This place is a piece of art, from vintage cars to rare flowers they got some really nice things you can check out. 2. If you planning for a day out at Hesaraghatta grassland then just go ahead with it, bring your own food and water. Make sure you don't litter the place. 3. 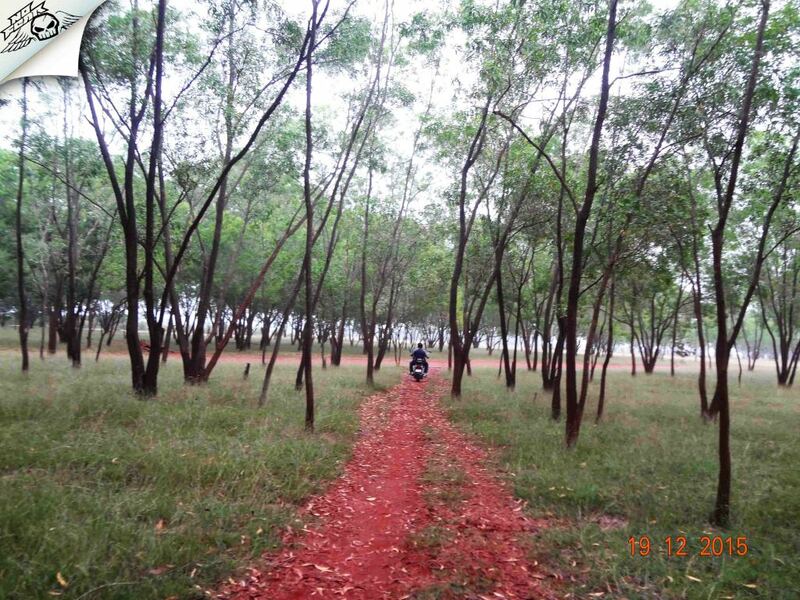 Hesaraghatta is a very popular destination for cycling enthusiasts as well. 4. Though you can visit this place around the year, the best time would be in monsoon and post-monsoon.